I’m a Barrel of Fun! 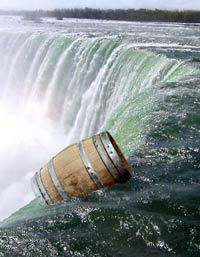 I’ve decided to go over Niagara Falls in a barrel. I know what you’re thinking: that is a fantastic idea and not in any way reckless or ill-conceived. You’re probably thinking the only thing to surpass my level-headed decision-making is my sense of adventure and almost unparalleled bravery. You’d be correct–the level of your perception is stunning. You are nothing like the naysayers in my sphere of influence; people who use harsh terms like: reckless, ill-advised, wildly insane, dunderheaded, pea-brained, attention seeking prat, dangerously maladjusted, and stupid. Stupid is a very hurtful word. These naysayers like to point out the majority of the individuals who have gone over the falls in a barrel have perished horribly. Well I’m not in the majority. If all those mental competency tests The Pennsylvania Board of Mental Health make me take are to be believed: I’m really quite far from the majority. In 1930 George Stathakis went over the falls in a barrel with his 150 year old pet turtle. If a geriatric turtle can survive going over the falls in a barrel, I think I can manage. George died, but his death could have been barrel unrelated–everyone has to die sometime right? Anyway, my preparations to go over Niagara Falls in a barrel have begun. I can do anything a turtle can…except stay submerged underwater for extended periods of time…I’ll be fine. I’m sure you’ll be fine… just maybe don’t bring a turtle? I feel like maybe George’s turtle drowned George to save himself. Turtles can’t be trusted, everyone knows this. 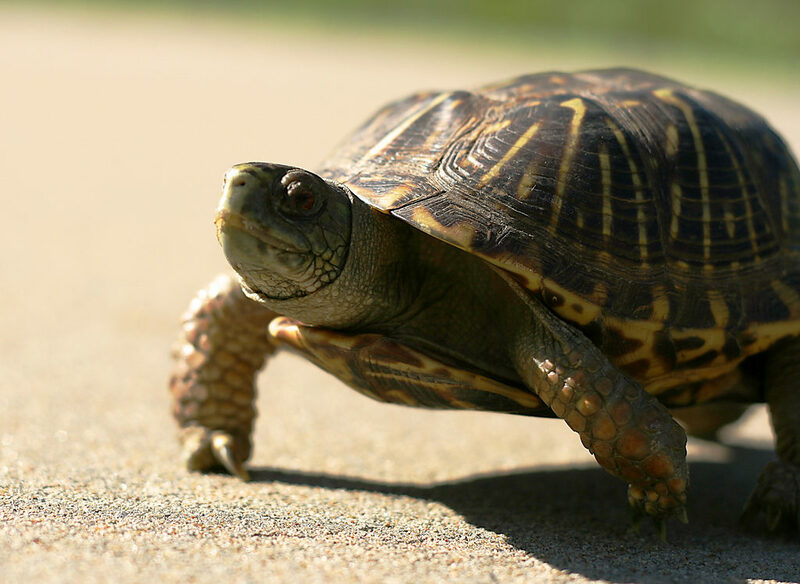 How do you think the turtle beat the hare: performance enhancing drugs.